With the biggest event of the Summer closing in, there's no better place to celebrate than right here in DTLA. From the stars who got their start in the city to the artists and business that thrive here, this area of California is rich with the independence that makes these dreams come true. 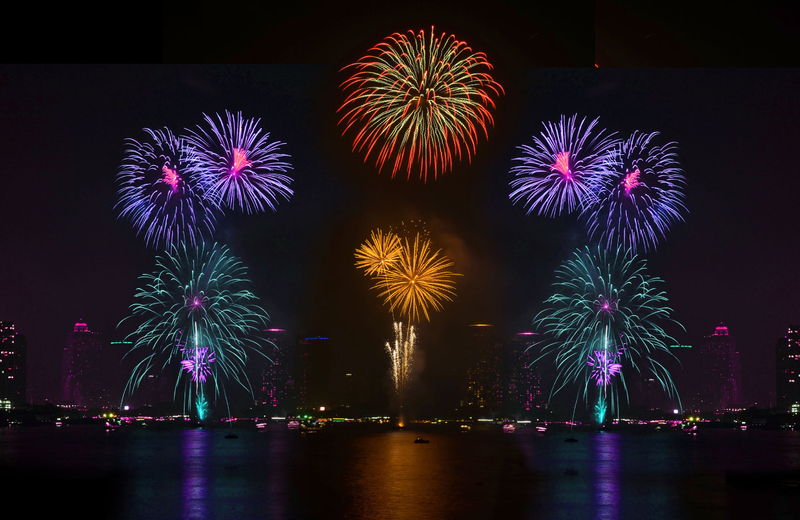 Living in the LA luxury apartments, there are plenty of patriotic events to take part in and stunning fireworks displays to see all in the immediate area. Every year The Rose Bowl holds Americafest, an event filled with all-American food, a motorcylce stunt show, and their iconic fireworks display. Doors open at 2pm for this bonanza, and fireworks start at 9pm sharp. Games, crafts, and more are all available for those attending. Kicking off with a band of patriotic skydivers descending from the stratosphere, this neighborhood's colossal parade is followed by a marching band right on Sunset Boulevard. Later in the evening their is a concert followed by a brilliant display of fireworks. This concert hall puts on a fantastic show by one of the nation's top artists each year, followed by their very own fireworks show. There's something magical about fireworks over the ocean waters, which is exactly what you'll see at Marina del Rey. If you own a boat you can enjoy the show out on the waters, or you could choose to enjoy a decadent dinner at any of the fine dining locations located ocean side. This is a spectacular, must see display. Chock full of delicious eats from some of the city's most renowned pit cookers such as Lucille's BBQ, Carving Board, and Cheezus, this festival presented by Time Out L.A. is one delicious affair. Drinks are provided by the Francis Coppola Diamond Collection's fine wines and Golden Road Brewing's beer garden. This event is hosted by Grand Park. With live music, food truck fare, and more there's plenty to enjoy on this great holiday. From the LA luxury apartments, residents can take the metro to arrive at their festival destination. Dinner, drinks, valet parking, and rooftop fireworks viewing are all included in the VIP ticket for this event. There are plenty of American themed activities for children and adults alike. Opening with a 5K run and fitness expo, this long standing festival then continues onto the pier for live entertainment and great food. Ending the night with a fireworks display finishing with a 500 round burst, how could you not want to take part in this exciting event? Grab your seat or a movie on this park's gigantic screen or walk around and enjoy themed photo booths and live music. When the move ends, the park puts on an amazing display of fireworks from behind the screen. Hop aboard the Queen Mary as you eat, drink, and prepare to see the fireworks over the waters. This is one big boat party complete with live music and plenty of entertainment. Alternatively, you can find a spot along the waterfront and enjoy a more subtle evening before the show begins. There are fireworks at the stadium throughout the season, but they takes things up a notch on the 4th of July. After the game you can watch the fireworks show right from your seat. More often than not, your holiday ticket includes a special perk like a limited edition patriotic Dodgers tee shirt. If a carnival style celebration is more your style, then head over to Kaboom at the Fairplex. The evening's events include a monster truck derby, a big air motocross show, and a human cannonball demonstration. All of which is followed by spectacular fireworks show. Every year this aquarium opens its doors after hours for some hearty barbecue from hot dogs to brisket, views of their exotic fish, and a waterfront seat to the fireworks show. Best of all, the tickets are discounted for the event. It's a fun way to celebrate another year of independence. The Clifton's Canteen offers a unique 4th of July experience available to those living the LA luxury apartments. Step back in time with this tribute to 1940's USO shows as you celebrate the holiday in style with classic clothing, dancing, and drinks. Music for the evening is all from the big band era to complete this historic atmosphere. All of these fantastic festivals and fireworks shows are right next door to the most desirable address in Downtown LA, the Eight & Grand. This Greenpoint rated building offers sustainable designs paired with luxuriously conscious living. Spacious floor plans feature floor to ceiling windows for breathtaking views of the city and ample amounts of natural lighting. Modern kitchen finishing complements hardwood style flooring and European styled appliances. A host of amenities offer comforts that make it hard to leave home. From the lobby cafe to the penthouse lounge, there's something for every lifestyle and taste. Landscaped terraces, a resort style rooftop pool, and a calming zen garden are just a few of the features that bring high end living to the next level. Underground secured parking is offered to all residents, and our Pet Spa ensures that our furry guests receive the same level of luxury that you do. Built on top of a Whole Foods market, every aspect of living is taken care of. Located in the vibrant, thriving area that is DTLA, the community is one of open minds and discerning tastes. The Eighth & Grand puts you in the heart of it all. Come for the outstanding 4th of July celebrations that only LA can deliver, then stay to experience this uniquely diverse culture all year round. These apartments aren't just another year's lease, they're a community that you can call home.